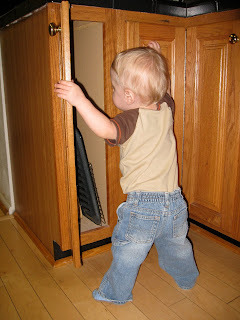 While it is easy to focus on the major milestones of childhood, I am enjoying the little ones. Alex may not be walking and talking just yet, but he is learning so much. 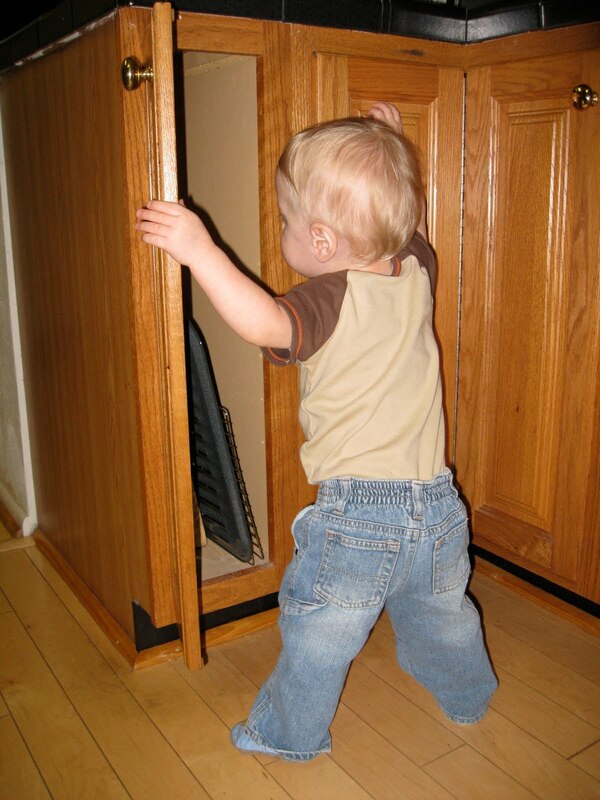 On Friday evening, he figured out how to open our kitchen cabinets with higher knobs. I think that he has gotten taller and can reach more now. For the last two days, John and I have taken turns staying home with Alex who is getting over an ear infection and pink eye. (We should be back to our normal routine on Wednesday.) We have watched Alex get so much better at feeding himself recently. He is doing really well with a spoon and seems to be favoring his right hand so far. Alex is also interacting with his toys more. He seems to understand how his toys work now. He is having a lot of fun with his Shake and Go Bear. He also likes to pass a ball with someone by rolling it across the floor. We have tried some Baby Signs, but it has not caught on yet. It is hard to consistently do these, and I mainly remember them when he is eating. Still, we can tell that Alex's language skills are developing, and I think that he can understand a lot. He will respond when I ask him to sit down in the bath tub. So far, he is willing to listen to his mom, and I hope that this continues.